The latest weekly United States Mint numismatic product sales report includes the debut numbers for several recently released products. This includes the 2013 Reverse Proof Gold Buffalo, 5-Star Generals Profiles Collection, and William Howard Taft First Day Coin Cover. To celebrate the 100th anniversary of James Earle Fraser’s classic design for the Buffalo Nickel, the US Mint has offered a one ounce 24 karat American Gold Buffalo coin with a reverse proof finish. The coins will only be offered during a four week ordering window, which began on August 8 and will conclude on September 5. The production of this special issue will be based on customer demand during the ordering window. The pace of sales for the Reverse Proof Gold Buffalo has been brisk, with 12,630 coins reported to have been ordered within the first 30 minutes of availability. Adding some transparency to sales trends, the US Mint has placed a sales odometer on the product page, which is updated each weekday with the latest sales total. The first reading on the odometer was 21,009 units, representing the first full day of sales. On Monday the cumulative total grew to 24,883 units, and the latest total provided on Tuesday was 26,905 units. This amount represents more than twice the sales total of the regular proof version, which has reached sales of 12,821 units. On August 5, the US Mint opened sales for the 2013 5-Star Generals Profile Collection, which includes the uncirculated versions of the commemorative silver dollar and half dollar, along with a bronze replica of the 1962 General Douglas MacArthur Congressional Gold Medal. The two coins and medal are placed within special packaging, which includes profiles of each general. Sales for the product have reached 3,180 out of a product limit of 50,000 units. The third product to make its debut on this sales report is the 2013 William Howard Taft $1 Coin Cover. 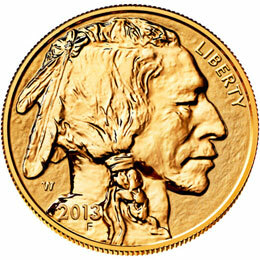 The product includes coins sourced from the first day of production at the Philadelphia and Denver Mint facilities placed within an envelope carrying a special postal cancellation. Opening sales have reached 10,115 out of the product limit of 20,000 units. Elsewhere in the report, sales for gold and platinum numismatic products experienced a rebound after the slower sales of the prior period. Significantly stronger sales were seen for the 2013 Proof Platinum Eagle, which had weekly sales of 584 versus 162 in the prior week, and the 2013 Proof Gold Buffalo, with weekly sales of 524 versus 142 in the prior week. The mint finally released the 2013 First Spouse images. According to a recent article in Coin World. The first 2013 Spouse should be released some time this fall. Are you still going to publish these weekly sales report updates here? While I know the information is available on the Mint’s website now, I enjoy your version much better. It’s much more user-friendly, especially with the comparison (up or down) with last week’s figure. Usually these will be published on Tuesday. This week was on Wednesday since the data was a little bit late. Thanks! I missed it because it wasn’t filed under the “sales reports” category, and it never showed up on my bookmark.